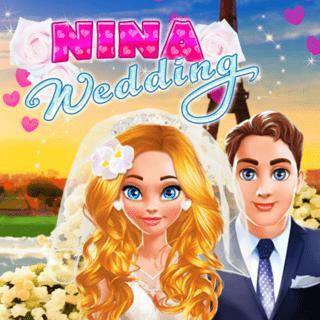 It's Nina's big day! Help the cute bride prepare for her dream wedding and make sure she'll look absolutely stunning. Oh no, the wedding stress has caused some spots! Quickly apply luxurious facial masks and clear up her skin. Time for the makeover! Select mascara, lipstick and eye shadow and choose an outfit. Which dress is your favorite? Finish her style with matching accessories and decorate the wedding location. Can you create the perfect wedding?